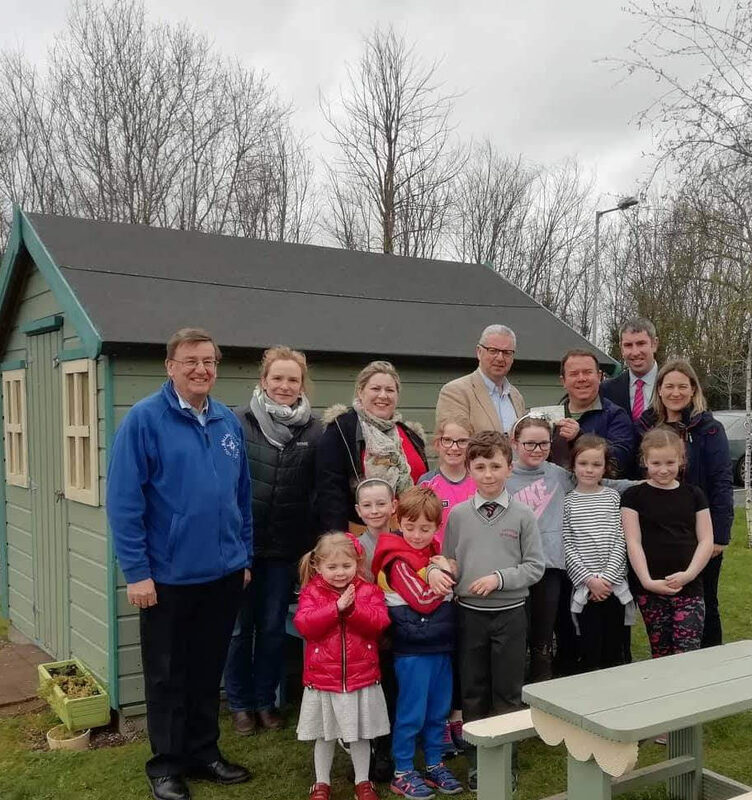 Coiste na dTuistí ó Gaelscoil Uí Ríordaín recently presented a donation on behalf of the students in the school to the award winning Ballincollig Tidy Towns Group. This donation came from money raised by the coiste (parents association) over the last year, most especially from the very enjoyable and highly successful school fun run in Ballincollig Regional Park. The coiste made the donation to the Ballincollig Tidy Towns group on behalf of the school community in recognition of all the hard work and success they have achieved for Ballincollig. 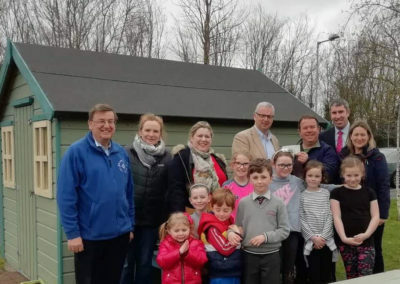 Included in the picture are Dave Keeley and Cara O’Driscoll from the Gairdín Orgánach sa Gaelscoil, Runaí Coiste na dTuistí Roisin Thornhill McCarthy, Sharon Uí Bhuachalla and paistí ón Gaelscoil.